Aboriginal people living in regional areas experience higher unemployment and social disadvantage. This affects people already living in the regions, and also those moving back and wanting to connect with Country. 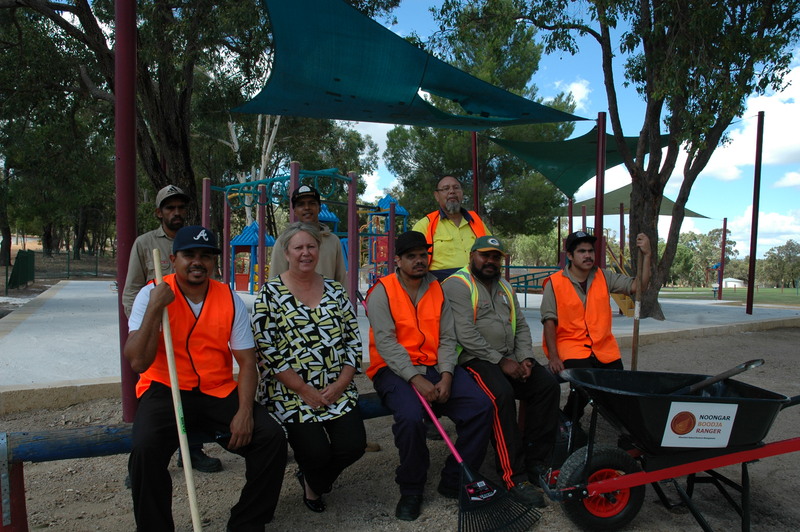 This project provides employment opportunities for Aboriginal people in the Avon Wheatbelt to work on Country. It gives Aboriginal people the skills, training and qualifications they need to develop a long-term career in natural resource management. Wheatbelt NRM actively trains and employs the local Aboriginal community to get them Caring for Country. Our Noongar Boodja NRM Ranger team carries out hands-on NRM work at locations including culturally significant sites, conservation reserves, and public and private land. The team will initially work on individual NRM projects, but aims to become self-funding by attracting larger contracts. We also support young Aboriginal people with our Noongar Boodja Carer trainee program. This school-based trainee program gives young Aboriginal people a meaningful employment program, on-the-job training, and TAFE qualifications in conservation and land management. Trainees work across all of Wheatbelt NRM’s programs so they learn a wide range of NRM skills. Our Ranger team members and trainees complete accredited training programs and on-the-job learning relevant to their position. We also work with local Elders on our sites projects to help pass important cultural and ecological knowledge onto younger generations. This project is currently offering casual positions on the Ranger team.